Diskutiere das Thema "[TUT] European Froyo Rom on American Droid pro! 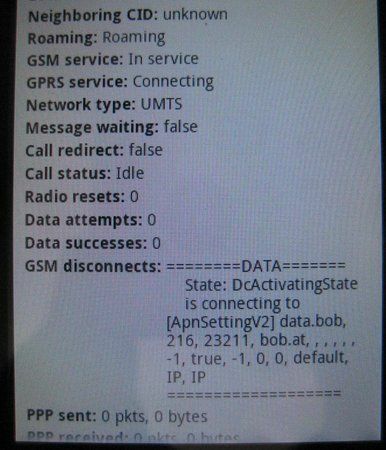 Or restore your froyo on European" im Forum "Motorola Pro Forum". I've extracted my froyo kernel from my european droid, then i've applied my froyo kernel and european backup on american droid pro! And now i have american droid pro, with european rom!!!! And it is very stable! After i give you a tutorial and links! 1) Download and put Froyo Kernel on your sdcard http://db.tt/3xSQtgfI after download nandroid european backup http://db.tt/TaTEX2QG (extract this backup from rar and put the 5 files in your sd in a newnew folder named euoropeanfroyo (without space) and then put this new folder under clockwordmod/backup) . This kernel don't change your radio! So you mean... I can upgrade to ICS and still have the option to go back to froyo? If yes, is it the original froyo like the stock one or is there still something that is changed? yes. i flashed my pro with the argentina sbf because the boot menu was broken. i used to have your version (2.3.4) installed and everything worked fine until i tried upgrading to ics. this somehow destroyed my bootmenu and i had to sbf. since that, the mobile internet doesn't work anymore in 2.3.4 so i had the idea to go back to froyo and then install 2.3.4 just as i did originally (before the sbf). You don't never change your kernel if you have argentinian 2.3.6! Did you use rsdlite, or sbf_flash? i used rsdlite for sbf. Then root and then use your preferred rom. so there is absolutely no way to change the kernel? is there a eu-froyo sbf that i could use? And the kernel doesn't improve your signal! ok, then i will experiment with this kernel. thank you very much for your help! i'm still trying to get the mobile internet to work. the settings are correct but i just doesn't work. does anyone have an idea what could be the problem? i attach an image of the radio info. Its this working for the german pro too?